A new 3 reel – 5 line slots is scheduled to be released on February 6th at Superior & 24VIP Casino. 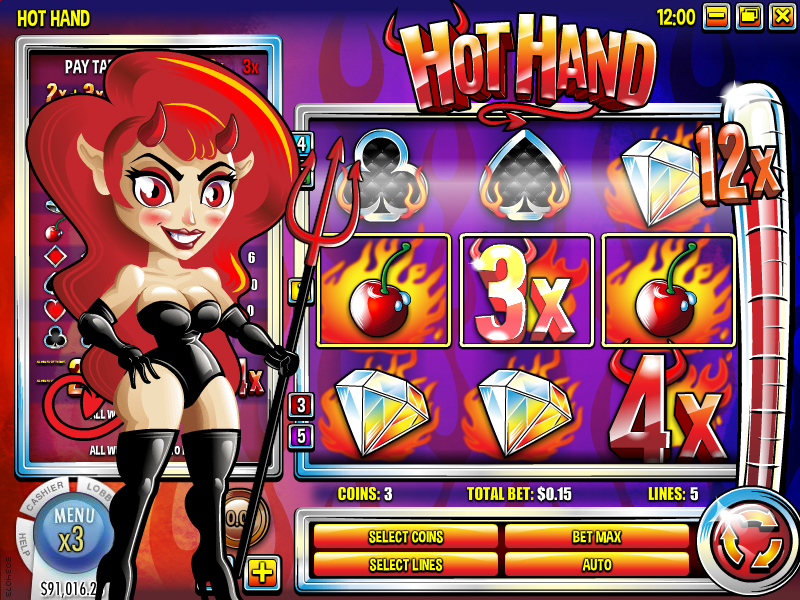 Hot Hand is a scorching hot 3-reel slot, starring she-devil Burnadette as the steamy and sultry host. Featuring 5 new lines, and fiery versions of classic symbols, Hot Hand is sure to fire up your websites visitors. There are scorching suit symbols like hearts, spades, diamonds, and clubs. There’s also blazing bells, combustible cherries, glowing gems, sizzling 7’s and Burnadette herself. Stay tuned for the official announcement. For more details, please contact your Affiliate Manager.